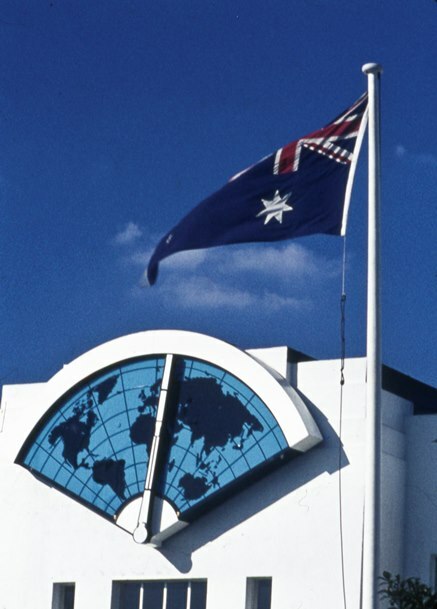 Peter Young took two photos of the Trico factory, 19th October 1972; white walls contrasted with deep blue sky suggest the Mediterranean; but this was a factory on the Great West Road and manufactured windscreen wipers. INSPECTOR, Chief, thoroughly experienced, age 30-40, light Engineering Factory; excellent opportunity. Write fully, career, present job, salary required. - Trico-Folberth, Ltd., Great West Rd., Brentford, Middlesex. The Trico Products Corporation said yesterday in New York it has shipped a prefabricated factory to Britain because the British Government denied its application for plant expansion owing to shortage of materials. The announcement said the two-acre unit is being installed in London for Trico-Folberth Limited, a Trico subsidiary at Brentford, Middlesex. 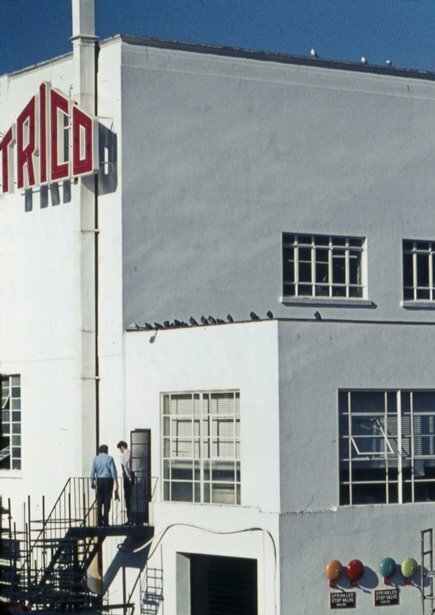 wikipedia informs 'The Trico business relocated to Pontypool, South Wales in 1992 and the building was demolished. The site, together with the adjacent site, Maclean's toothpaste factory (then owned by Rank Audio-Visual) to its east, was to be used for the UK headquarters of Samsung. The 1997 Asian financial crisis prevented this, and the site now houses the headquarters building of GlaxoSmithKline, also known simply as "GSK". Googling brings up some other images including women campaigning for equal pay outside the factory.